Real Madrid defender Pepe admitted he was relieved when Jose Mourinho’s tenure at the Bernabeu came to an end – because the former manager created a culture of hatred against the club. The Manchester United boss became embroiled in a bitter feud with then Barcelona manager Pep Guardiola during his three-year spell at the club, which ultimately overshadowed his La Liga win in 2011/12. The Portuguese also made enemies inside the club, including leading players such as Iker Casillas, leading Brazilian-born Portugal international Pepe to be thankful his time ‘went very quick’. ‘Under Mourinho, people hated us when we got out there on the pitch,’ the Brazilian-born Portugal international Pepe told Cadena Ser. ‘It lasted three years and thank God it went very quick. The 33-year-old revealed he is more comfortable playing under former Real Madrid ‘Galactico’ Zinedine Zidane who replaced Rafa Benitez as manager in January. 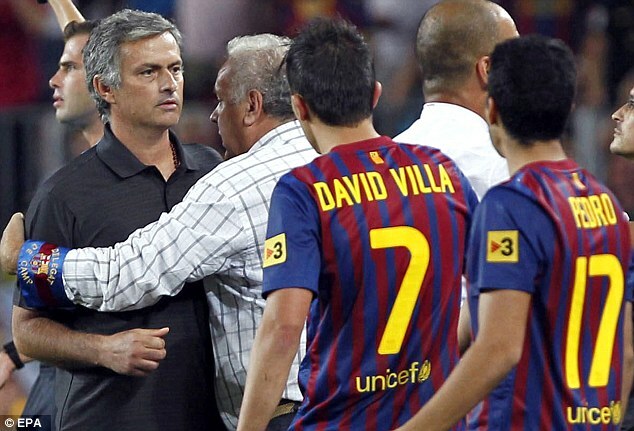 ‘Mourinho and Zidane are very different, one could say they are opposites. But it’s not like one is bad and the other is good. 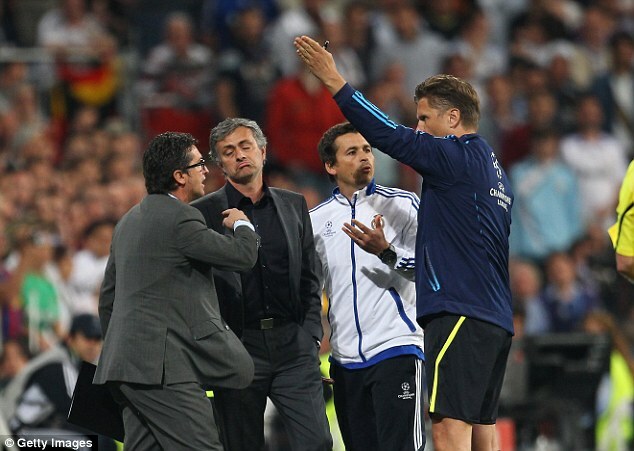 ‘Mourinho has a lot of experience as a coach, with great clubs and players. Zidane has only just started in La Liga last year. But he has played at the highest level himself and always knows what’s expected on the pitch. ‘Zidane has been a player and knows what we think. He had a brilliant career at Madrid, so understands what the pressure is like here. ‘We need to try to enjoy these moments because they’ll end one day, and he’s given us all a vote of confidence by not signing new players,’ he added. Madrid won a record 11th European Cup/Champions League title last season and with begin this campaign against Sporting Lisbon in Group F on Wednesday. This blog supplies just useful info and I am subscribing to it-this instant! Anyway I’ll be subscribing to your feeds or even I fulfillment you get entry to persistently fast. It also provides unique design ideas to its readers. informative guide, going to link on my facebook. Random note, but anyone suffering from diabetes here? If so, check out this great information I found. AJCN is a crucial source for analysts and practitioners in the business of scientific health and nutrition. authorities, including the Fda and Also, ASN’s three Councils exemplify the vast scope from health and nutrition research study among its participants. Tim Johnson on the ABC NewsNow network, Simply puts, the Health and nutrition Details Board info delivers serving dimensions that have actually been actually standard to make that much easier to compare identical foods items, yet might not be the amount from food items should sustain a healthy diet plan. authorizations, including the Food and Drug Administration and You could do work in a public school aiding carry out a nourishment and also establish plan, effect hygienics policy decisions, advertise wellness and health at the company level, or even teach the neighborhood regarding the connection in between meals, health, and physical fitness. Tim Johnson on the ABC NewsNow network, . He worried the value from excellent air flow, hygiene from seafarer’s body systems, clean bedding, listed below deck fumigation, clean water by distilling brine, and the consumption of citrus fruit products to prevent and also treat scurvy He is well respected today for his do work in enhancing methods in precautionary medication as well as improved health and nutrition. Excellent site you’ve got here.. It’s hard to find high quality writing like yours nowadays. I seriously appreciate people like you! Take care! !